47 km or 29 miles, the distance Benidorm is from Alicante Airport, with dozens of shuttle buses and now a Speedy bus offering direct transfers to individuals hotels. Taxis are parked on the right of the main exit doors around the clock, and if you’re lucky you could be in one that gets eggs thrown at it or witness some stout red-faced Spaniards going nose to nose, as there’s still an ongoing dispute as to who should have the rights to the airport punters. The local cabs of Elche or those coming from the destination towns, this regardless of what the law says. Yes, that might sound negative to some, but to others they sit back strap themselves in and watch the fuss, all part of the experience, ‘welcome to Spain.’ the excitement has begun. The view from La Cruz in Serra Gelada of Benidorm is reminiscent of a Manhattan style skyline. Benidorm’s three beaches are pristine-clean and maintained. Playa de Poniente, ‘west beach’, stretches around for 2974 meters and joins, Playa de Levante, ‘east beach’, with an additional 2080 meters long this is usually the most populated beach. Both beaches are separated by Playa de Mal Pas,120m long with a width of 75m. This is a small cove on the other side of the marina below the Castilla and gets very busy. You can also find another beach at the end of Playa de Poniente called La Cala. This is small cove and popular with both tourists and locals and has several bars and restaurants to choose from. The water is easy to swim in here, because it remains waste high for a substantial distance and ideal for the kids to play in and the older generations to stand and chat. Benidorm, arguable, one of the most denounced and trashed talked about resorts in Spain, by those knockers who have never actually visited the place. I defy them to walk along the promenade at high noon and recall their negative connotations as the heat warms their skin. Tension soothed by a subtle breeze from the Mediterranean Sea, the white sand stretches for what seems like miles. The promenade is full of designer flip flops ranging in as many colours and sizes as their wearers, burnt red the preference of the newly arrived. Dodge the Segway riders and street performers, and become ensconced in a comfy chair, alfresco at a cafe bar, and people watch. Spot the nationality, although some make it too easy, dressed like reality TV stars or those that wear football tops and bold heads, on an all inclusive. Benidorm is a favourite destination for many Europeans, who visited the place religiously each year, for years, and that’s including the winter months, popular with the older generations. The Spanish also love to visit Benidorm, especially Madrileans from Madrid. Benidorm has a thriving beach life with early morning aerobics and Metal detectors dot about the beach in search of euros. Cable skiing is popular as well as para-sending, sea kayak, paddle boarding, Jet-skies and banana rides to name a few. Adventure seekers can explore Benidorm’s hinterland and high ground via Jeep safari, down hill biking, hiking and hot air ballooning. 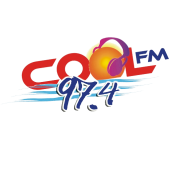 There is a profusion of entertainment options in Benidorm in the daytime and a superabundance well into the early hours, with hundreds of bars and restaurants to choose from, in the new side and the old town. Benidorm Palace is at the top of the list for popularity with its titillating Moulin rouge-esque floor shows and set menus. Regular boat trips to the isla de los periodistas or journalists’ is a great way to see Benidorm off-shore. The island also known as Benidorm island and peacock island, due it having some caged peacocks and is the headquarters for the local Seagull mob, hundreds of them. Benidorm Island is six and half hectares, it used to be the landing spot for Pirates to plot and conduct their raids from to the mainland. Fleeing citizens from Villajoyosa and Benidorm in 1834 stayed on the island after a cholera outbreak. Now days the island is a favourite spot for divers, both snorkel and scuba and can be explored by submersible voyage around the island. There is also a cafe serving a variety of food and drinks. 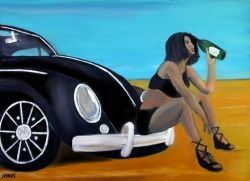 At eighteen years of age, the last car I would expect to, ‘quietly’ fall in love with would be a VW Beetle. Not exactly a cool motor to drive amongst my peers, especially an orange box standard 1200cc. My old man had bought a VW Beetle, dismantled it down to the chassis and refurbished it. He put a flash kit car body on it called an Eagle SS, with gullwing doors and body lines as sleek as a Lamborghini. Give him a Haynes Manuel and a few tools and he was on his way. This was one of many hobbies, his philosophy, if it can be learned, then he was going to do it. My father said that if I didn’t get a motorbike, be patient, and wait until I had passed my driving test, the kit car would be mine. Patient, I was a teenager! After going against my father’s wishes and buying a motorbike to get to college, I passsed my driving test and was ready for a car. The thousand pounds I received for the sale of the bike in hand, I went to see a car locally. A gleaming Fiat X19 sports car, advertised for 800 pounds, leaving some cash to pay for the insurance. It looked great, drove fine and I did the deal for 720 pounds, which was just as well, as the cheapest insurance quote was 450 pounds for six months. The car lasted four months before the clutch went, and I had to call the AA from the hard shoulder of the M1 motorway. My old man freed up the clutch and insisted that we drive it down to the nearest car sales to do a deal with a more sensible car that he had seen, if there were any problems he could fix it without any costly garage bills. When we pulled up at the garage, I knew straight away which car he had his eyes on and no amount of begging was going to work. Tough love I think they call it. The salesman couldn’t get in the Fiat fast enough and drove it around the block. He climbed out, declared his wife would like it, and we did a straight swap deal. The bright orange VW was on at 900 pounds so away we went. After a verbal battering on the way home from my father, at how bad my driving was, something he would still suggest to this day. I got the hang of driving the antiquated controls, loose gear stick, the noisy windscreen wipers and the screen wash working off the air pressure from the spare tyre in the front boot. At that moment it didn’t seem quaint, cute or funny, even my mother struggled to hide her smirk from me when first seeing it. Two weeks’ later, a man from the trading standards knocked at the door to get a statement off of me. Apparently, the car salesman sold the Fiat to a couple that had spent their life savings on the car and it had broken down a day later. On further inspection, there were 36 un-roadworthy things wrong with it, and you would be hard pressed to stick a magnet to most of the body work. All that because I didn’t listen to the old man – talk about the butterfly effect. My mother plied the official with tea and digestives and made sure I was blameless. The couple sued the car sales, which closed down, and I drove the beetle through four seasons without a problem. I eventually sold it for twelve hundred pounds, and put the cash to another awesome vehicle, a Toyota Hilux Pick up truck. I missed the Beetle and over there years bought four. I think only people who have owned one and refurbished them can understand where I’m coming from, as I write this I’m adding a Beetle to my amazon wish list that’s the 1302 s, preferably not in Orange. My father did give me his kit car to drive, and it was awesome, people looking at you, being so young I lapped it up and went away for the weekend to Lancashire. On the way back, I got a lift from the AA and I’m sure it was the same place on the motorway as a year before. The oil pump went but my father suggested I didn’t put any oil in the car. He was fuming and sold it–yet another one of those things to add to his list of disappointments. My mother took his mind off of it, she had her eye on a hotel that needed refurbishing, and there were plenty of books out there on that subject to get his teeth into. There are many categories of comfort foods, and I prefer the one that describes comfort food as sentimental and nostalgic, evoking a positive feeling. Certainly when I have my chosen flavour it reminds me of a time in my past that felt and seemed positive. There are a lot of recipes out there and variations; seems like everyone has their take on this popular soup. Now and again when I was ten or eleven I used to walk home at lunch time to eat, as my mother had mentioned, she would also be home for lunch (a rare occasion), and there waiting for me was a bowl of cream of tomato soup. Okay I’m not going to lie and suggest my mother made it, she had an hour at best for lunch, and was a bus ride away from work. No this was out of a tin, ‘Heinz’ and we didn’t have it often. I’m not sure if my mother added something, or if it was simply the memory of spending half hour with her that for some strange reason, at this time of the day, was different, less stressed, and almost cheerful, or the hot crusty cobs(bread rolls) she would layer on with butter like she didn’t care. That’s my earliest memory of comfort food, Ice cream, chocolate bars and sweats in general, notwithstanding. 1 tablespoon dried basil crushed. Heat the olive oil in a saucepan over a medium heat adding the onion, garlic and carrot, cook until soft, add the basil and cook for five more minutes. Stir in the broth and add the tomatoes, bring to the boil and then simmer for 20-35 minutes. Add the saucepan contents to a blender and puree, and strain back into the saucepan. Now over a low heat stir in the cream and heat it through to the desired temperature and season to taste with ground black pepper and salt. To refer to a dog as a man-dog is just to suggest that these breeds of dogs would be more suited to some male lifestyles than other dogs. I didn’t really think of myself as a dog person, not until I got what is referred to as a man dog. Growing up, my parents had three Yorkshire terriers and even though they were fun when I was a younger child, as I became a teenager. I had no interest or patience for the terriers. They become more of an annoyance, especially having to clean up after them, as they would be in-doors for long periods of time, alone, away from humans at least. A couple of years ago my wife came home with a puppy, you could hear the commotion as she rushed up the path with our daughter. She walked in the door and thrust the most sorrowful looking hound I had ever seen in front of me. The dog’s head was the same size as her body and her ears seemed to touch the floor, she was shaking and scared, after seeing her stood pitifully there like she was alone in the world. The question can we keep her? Became rhetorical. After turning our new furniture into shabby chic and trying to recycle everything in the kitchen bin – she started to grow. 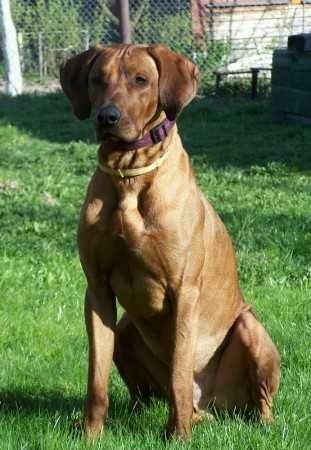 Lucky for me she grew into a man dog – a Rhodesian Ridgeback. Which was just as well, to keep her company, the rationale; we adopted another dog, a rat-esque Heinz 57, named Roxey. They say that you can tell a lot about a person from the car they drive, the books they read, the company they keep and their choice of dog. Is there a relevance to a man’s choice of hound for his BFF and what type of personality he has? Here are my top ten breeds, historically favoured by men that suit certain lifestyles. I would suggest as a potential partner his lifestyle choices should be scrutinised, especially his embarras de choix, and his four legged friend. If you want to know something about his persona. Referred to as Lion fighters, named so because Lions were afraid of them as they were used to keep the lions at bay until the hunters arrived on the scene. They were also used to hunt other big game and are said to be fierce enough to kill a baboon on their own. Kennel comment: these Dogs don’t need much exercise, but of course they benefit from it according to the dog whisperer, exercise seems to be the key to most dog problems. I have one of these hounds, okay with a whiff of boxer in her, she stays close to the house, buries bones and then digs them up to check it’s still there, guards it for hours and then decides to eat it. which is good on a Sunday when you Just want to chill and have no attention seeking hound dogging you for love. English Bull Terrier also known as the Bull Terrier, Pit Bull, American Pit Bull they have a pointed nose and beady triangle-shaped eyes. For its size ratio, Bull terriers are the ultimate power packer, solid muscle dogs. They can also be stubborn and comical. The Bull terrier has had a bad rap for a long time because certain previous owners chose to train them, torment them and brutalise them in the name of toughening them up. Which, inevitable made them vicious. If any dog is treated this way the same effect would happen. On the flip side, if these dogs are treated right, with some affection, the dog will reciprocate. 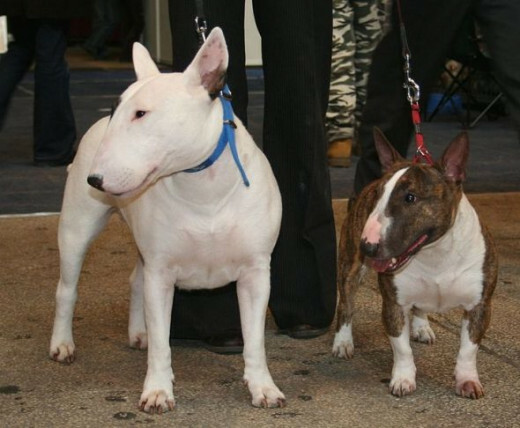 Bull terriers are best integrated with other dogs from an early age because they do have a natural protective nature, which can become fierce. 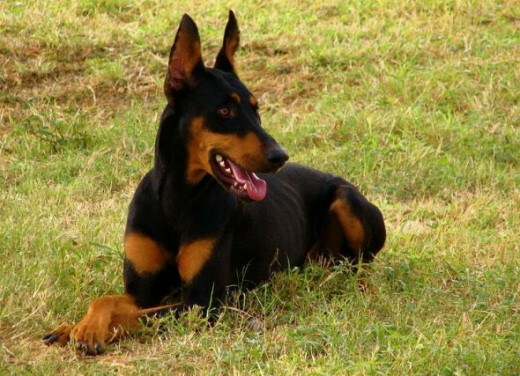 Doberman Pinschers are used as guard and police dogs. The US Marines in WW2 trained them as attack dogs and the Germans soldiers referred to them as “Teufelshunde”, Devil Dogs, which they also referred to US marines as in the 1st world war, because of the high ferocity of their fighting. Now days these are extremely popular dogs in the USA and around the world and are well behaved pets. On land, only a cheetah can accelerate faster over a short distance, greyhounds can reach average speeds of 43 mph. These dogs are said to be loyal and loving dogs and sensitive, they only need half-hour exercise and can sleep for most of the day so these can be kept in apartments. 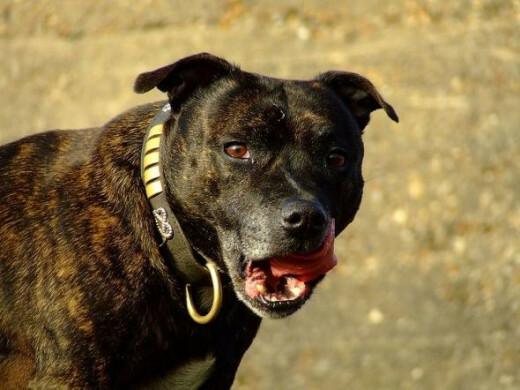 Another dog that has had negative press in the past, but still remain a popular breed in the UK. They can either take a lot of exercise or not, this muscular dog is intelligent and loyal. These dogs are closely related to the Bull Terrier and share its dog fighting ancestry; although these dogs are fearless they are a stable breed and can be affectionate, both with its human owners and other dogs. 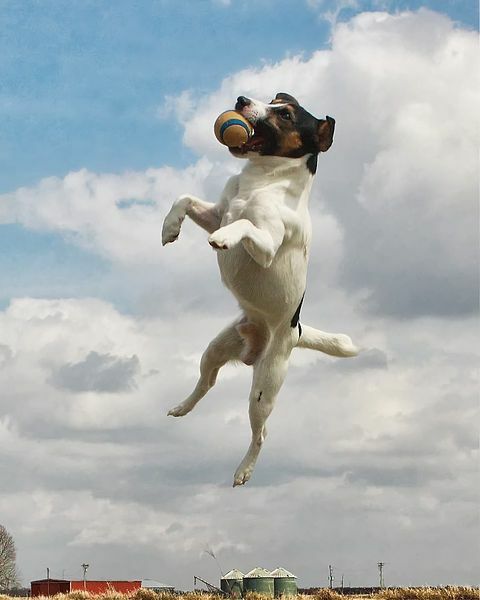 The Russel terrier or Jack Russel, came from an early 19th-century dog breeder called Reverend John Russell. 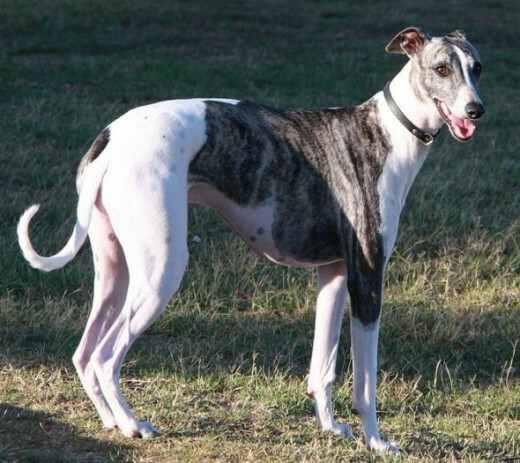 These dogs are said to be one of the most intelligent pure breed dogs and need a lot of attention and exercise. Suited for the more adventurous and physical owners. Also a big game hunter, including bears, Weimaraner dogs make great companions but aren’t for slouches as they need walking several miles a day. 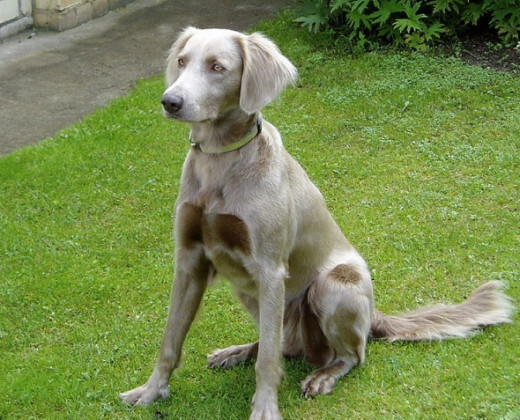 Weimaraner where originally used by Royalty for hunting large game, like Boar and Deer and are popular gun dogs. Their web feet make them great swimmers. These dogs were bred in the early part of the 19th century and was a favourite of a German Duke whose court was in Weimar. Border Collies are working dogs and were used to herd sheep and other livestock on the Anglo-Scottish border, hence the name. 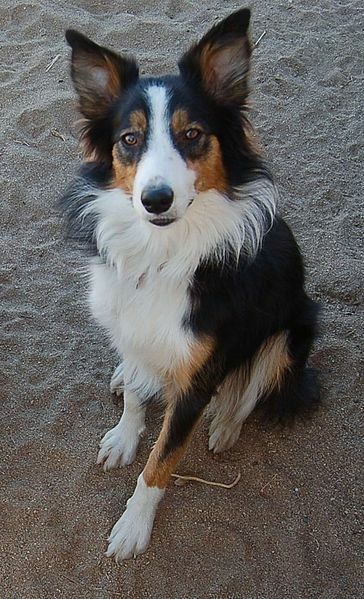 Collies are acrobatic and energetic and said to be the most intelligent dogs in the world, extremely focused and loyal. These dogs need a lot of attention, so they would suit the more athletic and someone with spare time, or who can make time, like the unemployed or self-employed. German Shepherd or Alsatian is originally from Germany as its name suggest and was used as a herding dog. 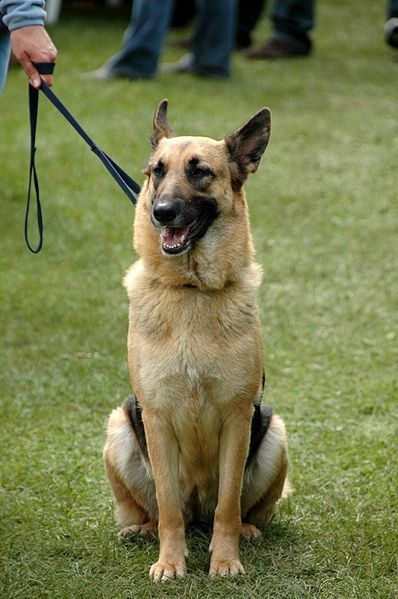 This dog is very popular and extremely obedient and protective of its owners, they are a favourite among the military and Police and the highest registered dog in the USA. These dogs, like most, can be trained to be an affectionate companion or a scary vicious dog. Which one, says a lot about the owner. Bulldog also known as British Bulldog and variations like the American Bulldog and the French Bulldog. This is not a sporting dog, intolerant to heat and known for their stubbornness. They are ideal for indoors types and couch potatoes. 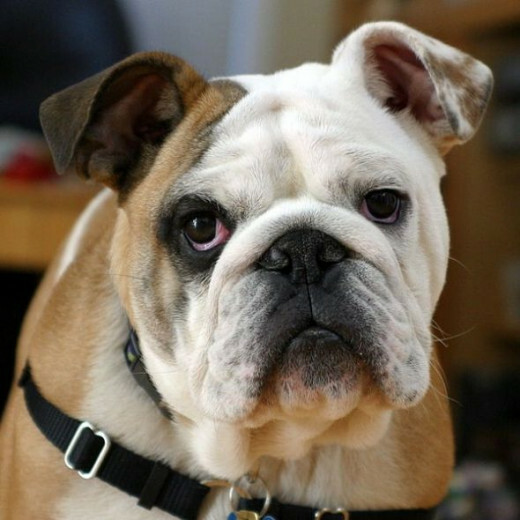 The Bulldog is a popular mascot dog in America, used by several Universities and is also synonymous with Sir Winston Churchill and representative of England. It is also the official mascot of the US Marine Corps.